In the early games of soccer, disputes were settled by the two captains and because it was a gentleman’s game an umpire was not required. Once association rules were established and competition began in 1872 each team appointed an umpire. The two gentlemen ran about the pitch keeping an eye on play. They had no right to interfere with the game in progress but could be "appealed to" by the players, just as in the game of cricket today. Umpires signaled any infringement using a handkerchief and were given the power to award a free kick for handball in 1873 and for other offences in 1874. In the same year umpires could send a player off for "persistent infringement of the rules". In the event of a disagreement between the two umpires the game's timekeeper would arbitrate. The Nottingham Forest account book of 1872 recorded the purchase of an “umpire’s whistle.” Since referees were not allowed onto the field until 1891, the whistles were used by the umpires (Ruck 1928). It is likely Hudson’s pea whistle made of brass was used. After a major restructuring of the laws in 1891 referees were finally allowed onto the field of play in the season 1891/92. Henceforth the two umpires acted as linesmen then later as assistant referees. 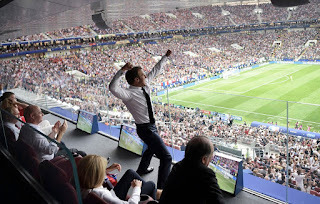 The referee had the power to caution players who were guilty of ungentlemanly conduct, without consulting the umpires (though any such caution was made with the umpires present). If a player continued to transgress, or was guilty of violent conduct, the referee could send him off and report him, even if the player them offered an apology. They were allowed to award a free kick for foul play without waiting for an appeal. It is more than likely the whistle was introduced to soccer at this point. It is recorded William Atack, a referee from New Zealand, was reportedly the first referee to employ a whistle to stop a rugby game in 1884. In 1860 tool maker Joseph Hudson (1848–1930) had an accident with a violin which he dropped. He became fascinated with the perfect sound created when the bridge and string broke. Determined to replicate the sound he developed a pea whistle. Hudson started to manufacture the ACME Whistle Company (based at Mills Munitions Factory, Birmingham) in the 1870s. In 1883 he invented a distinct sounding whistle for the Bow Street Runners which could be could be held in the mouth leaving the hands free. 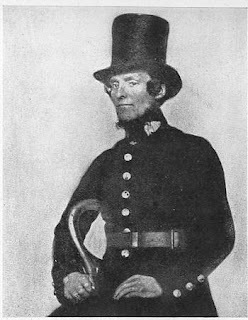 The Police whistle could be heard over a mile away and was adopted as the official whistle of the London Bobby. A pea-style whistle gets its shrill from the movement of the small cork pea in its interior, which alternately covers and uncovers the hole through which air is released. This process produces a rapid alternation of sound and silence, the characteristic whistle vibrato until the pea gets stuck in the hole. Movement of a small ball enclosed in the whistle's air chamber produces the familiar trilling effect now commonly associated with referee whistles. Early attempts in 1906 to produce molded whistles from a material known as vulcanite were unsuccessful. 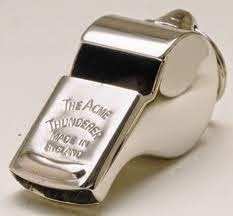 By 1914 Bakelite was used to mold the first plastic whistles but the metal 'Acme Thunderer' still was preferred. An improved version was produced in 1920. Designed for use in big crowds, it was smaller, shriller and with its tapered mouthpiece. This whistle may well have been used in the first Wembley Cup Final in 1923 between Bolton Wanderers (2) v West Ham United (0). The Model No. 60.5 is still available today. For even greater power and a higher pitch in noisy stadia, the 'Pro-Soccer' whistle, first used in 1930, had a special mouthpiece and barrel. The modern version is still popular. The whistle was not mentioned in the Laws of the Game until 1936 when an IFAB Decision was added as footnote (b) to Law 2, stating "A Referee's control over the players for misconduct or ungentlemanly behaviour commences from the time he enters the field of play, but his jurisdiction in connection with the Laws of the Game commences from the time he blows his whistle for the game to start." 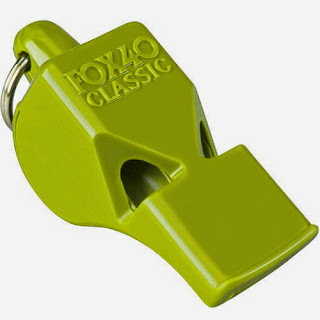 The Fox 40 "pea-less" whistle originated from an idea by Ron Foxcroft a USA basketball referee in 1987. He had experienced a common problem with pea whistles not reacting quickly enough, and not being able to be heard above a large crowd noise. The cork pea whistle may fail to operate in the extreme cold and wet and often the inside of the whistle clogs with dirt. Foxcroft designed a pealess whistle which works simply by routed air pressure. The Fox 40 whistle was patented and now rivals ACME. It was first heard at the 1990 FIFA World Cup Italy. Referees in the 1998 FIFA World Cup used the pealess (airfast) Tornado 2000. This is considered to be the world's most powerful whistle. In FIFA World Cup Korea Japan 2002 the referees had a free choice of whistles No surprise to learn most choose to use the whistle they most use in their general games. Modern whistles made from different plastics produce a wide range of tones and sounds. The design of the mouthpiece can also dramatically alter the sound. Even a few thousandths of an inch difference in the airway, angle of the blade, size or width of the entry hole, can make a drastic difference as far as volume, tone, chiff (breathiness or solidness of the sound) are concerned. Most referees carry two whistles, one for regular game play and a second as a backup or safety whistle. The second whistle usually has a different pitch or tone, and is usually a different color (often color-coordinated with the uniform). Referees use a whistle to help in match control. The whistle is sometimes needed to stop, start or restart play but should not be used for all stoppages, starts or restarts. FIFA’s Laws of the Game document gives guidance as to when the whistle should and should not be used. 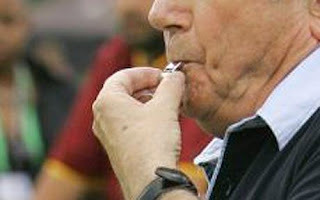 Overuse of the whistle is discouraged since, as stated in the Laws, “A whistle which is used too frequently unnecessarily will have less impact when it is needed." The International Football Association Board (IFAB) in 2007 greatly expanded the Laws of the Game Additional Instructions section, a full page of advice on how and when the whistle should be used as a communication and control mechanism by the referee became available.